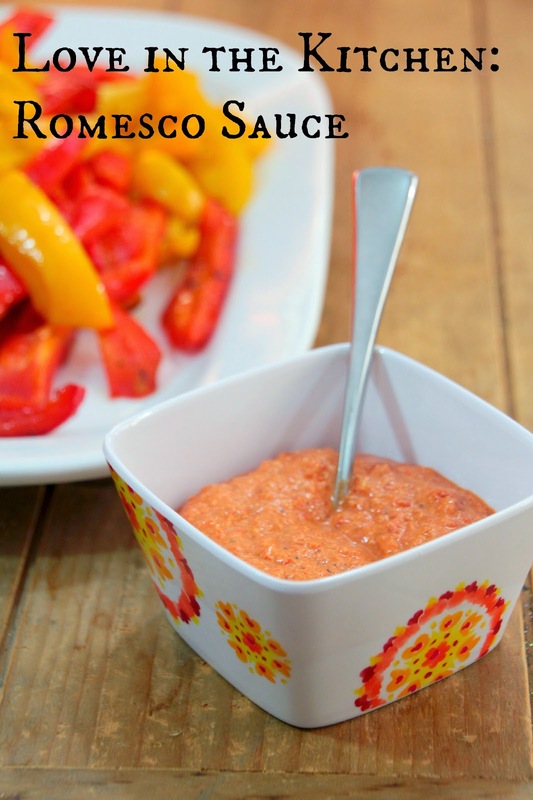 Romesco is a nut and red pepper-based sauce from Tarragona, Catalonia, in Northereastern Spain. It is typically made from any mixture of roasted or raw almonds, pine nuts, and/or hazelnuts, roasted garlic, olive oil, and red peppers. I have seen some recipes for this lately and, after a conversation with a co-worker who is from Spain, decided I had to try this classic sauce. This is an amazing sauce. You can use it with just about anything - I loved it with grilled asparagus and with steak. Also with toast. And over rice. Can you tell the possibilities are endless here? 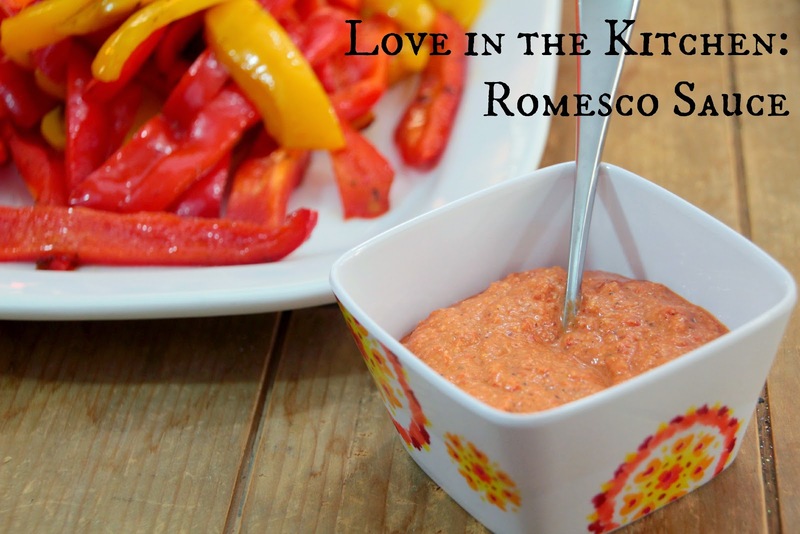 Romesco sauce has a nut base, so it does give you the idea that you are eating a peanut or almond butter, but it is so much more than that. I made this for the family, not all of whom like spicy food, so I didn't make it very spicy. Next time, though, when it is just me and The Mr... look out. This sauce is really easy to make and really just incredible. You'll want to try this on everything - make a double-batch so you can! Heat 1 tablespoon of the olive oil in a small saucepan over medium heat. Add the tomatoes and cook until soft and saucy, about 8 minutes. Set aside. In food processor, pulse the garlic into a paste. Add the almonds, hazelnuts, red wine vinegar, chile flakes and smoked paprika and crush into a coarse paste. Add the remaining 3 tablespoons of olive oil, tomatoes and roasted peppers and continue processing until a thick sauce forms. Serve with grilled meat or vegetables. Or eggs. Or really just about anything. 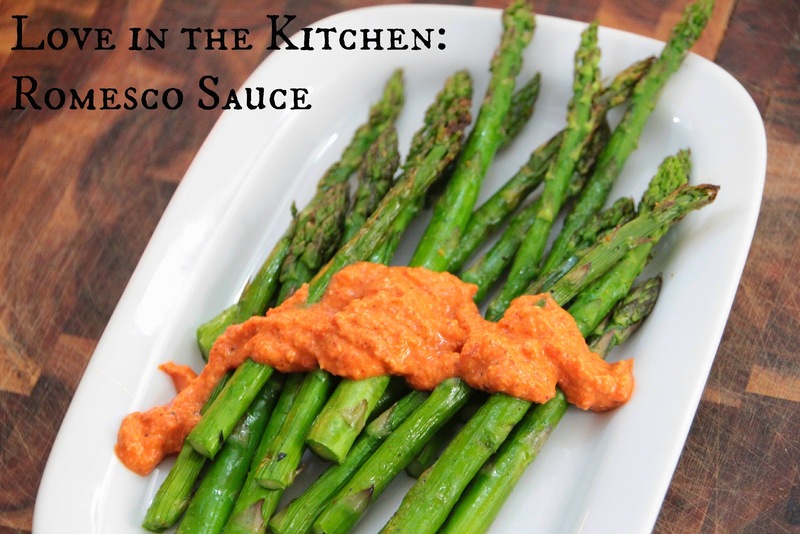 This sauce is amazingly versatile!